I surpassed my reading challenge on GoodReads by 8 books, reading 58 books in 2018. Here are my 14 5-star book choices. 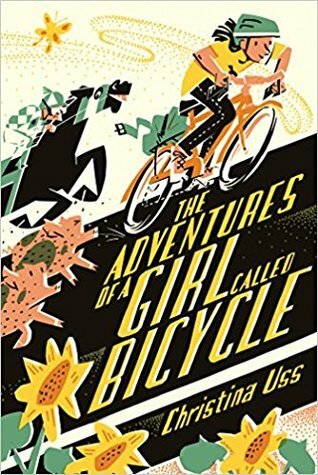 My list includes 10 books written by female authors, two graphic novels, and 9 elementary fiction books. Only one nonfiction made my list which is okay because on average I don't read very much nonfiction. I read 16,735 pages! 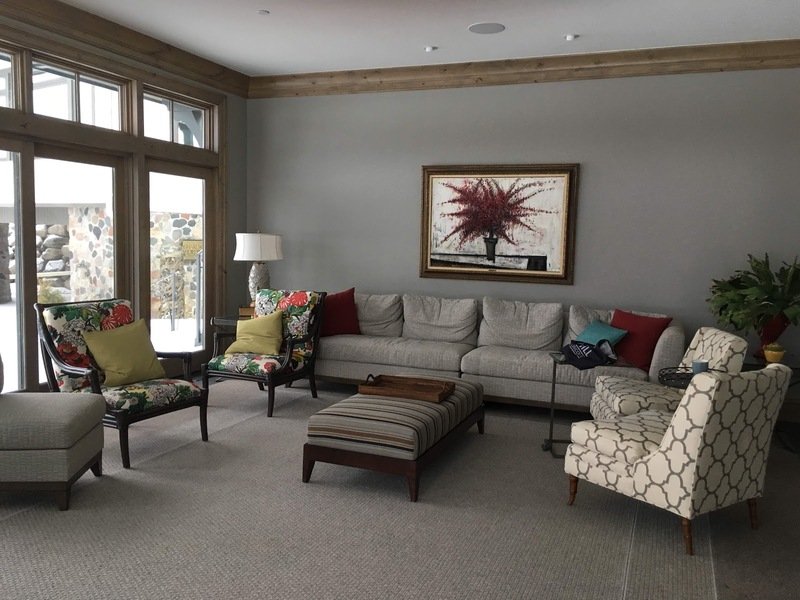 Here are a few more that, even though they did not recieve a 5-star rating, were also very good. The Alice Network by Kate Quinn was good historical fiction. Tiger Boy by Mitali Perkins and Ghost Boys by Jewell Parker Rhodes shared a unique perspective. Best book handed to me by a student was Watt Key's Hideout. My two most unusual books were both by Stephen King. I haven't read any of his books for years. My book club picked 11/22/63 and it was good. It was also my longest book in 2018. Elevation was had a unique premise and was short but very interesting. 2018 was great in all ways except politics. It is a constant struggle to balance technology, reading, and family time but I hope for a good year in 2019. I was excited to hear Elizabeth Warren's announcement this morning, I'm not sure if she is my ultimate choice but I hope lots of women throw their hats into the ring with her. 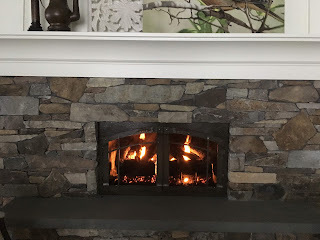 Right now I'm reading Scar Island by Dan Gemeinhart, The Library Book by Susan Orlean, My absolute darling by Gabriel Tallent, Liberty by Kirby Larson and Wish by Barbara O'Connor, the last two are books I'm reading with students. 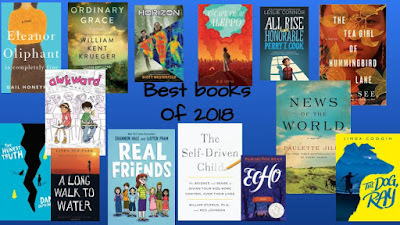 As an early prediction, I am pretty sure The Library Book will be on my top list for 2019. I'm on my way to the library now to pick up two new books as well. Happy New Year to you and may 2019 be your best reading year yet! The packages are all unwrapped and the leftovers are wrapped up for another day. 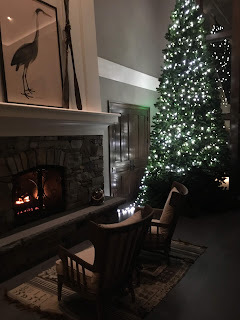 Our holiday together as a family was magical as I predicted. 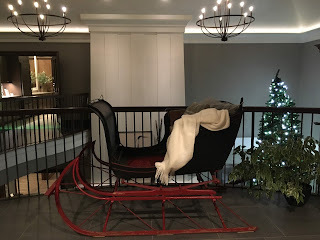 We played Spite and Malice, a family card game that we love, we watched all kinds of Christmas movies, we ate a lot of treats, hung out with our dogs, and just had fun together. We stayed in our pajamas pretty much all day long even when we left the house to go to the movies. The food I made all turned out including the several vegan items. This french toast recipe (My Darling Vegan) was delicious and I will make it again although I had to figure out how to make chickpea flour. It was easier than I thought and I'm happy my coffee/spice grinder worked for the task. 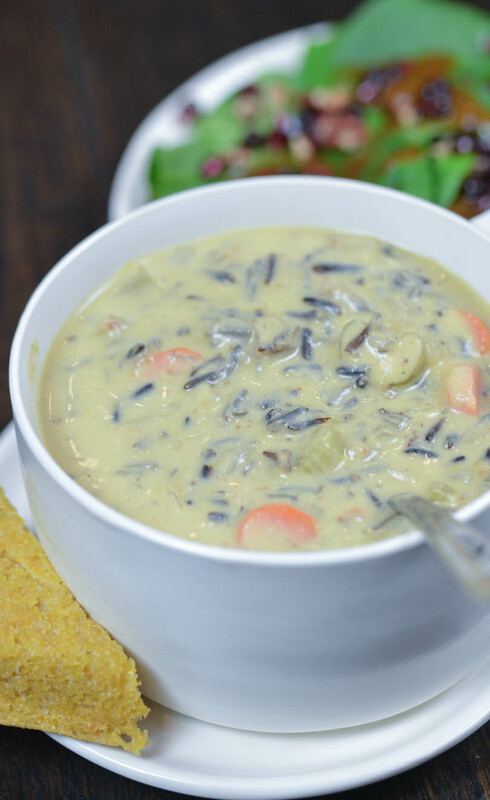 Even though I would find it very difficult to be a full-time vegan I love that I have to learn new skills as our family's chief chef. Now I am ready to kick back and enjoy my break with a lot of reading, flying the sofa with my two beautiful dogs, and hanging out with my husband as he has a bit of break as well. I focused my reading attention on Reconstructing Amelia and the mystery of it has me rushing off to read. I do have a little lesson plan idea to work on before we go back to school. Groovy Girl and I, after eating such delicious snacks over the holiday, are going to cut w-a-y back on sugar for at least the month of January. We both love dessert so this will be hard but good to push ourselves. I'm not a big fan of resolutions yet I do feel we all can benefit from a time of renewal and change. There is magic in the air! Are you ready? I feel like I am in a good place with my lists and plans. I just need a little voodoo magic to get it to all come together. Everything seems to sparkle just a little bit more right now. Today is my first official day of break and I started the day by sleeping in a little, which felt so lovely and going to have brunch with friends. While we were brunching we sampled the new Resilience beer coordinated for fire relief by the Sierra Nevada Brewery. It was pretty good for an IPA but more importantly an amazing effort to pull together to help others. Last weekend we made it through the graduation~ it was amazing. Everything came together in a magical way like the universe was simpatico. We now are the proud parents of two college graduate adults, making their way out there in the world. One left and I'm in no rush for that to happen. I have all my shopping done, my menu is planned but everything still needs to be prepared. 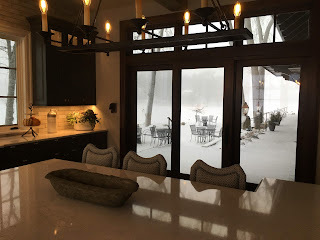 If I waved a magic wand the food could all be thrown together at once but then I would miss the joy of tying on my apron, pouring a glass of wine, and mixing things myself. I hope the next few meals go together as smoothly as the graduation food did. 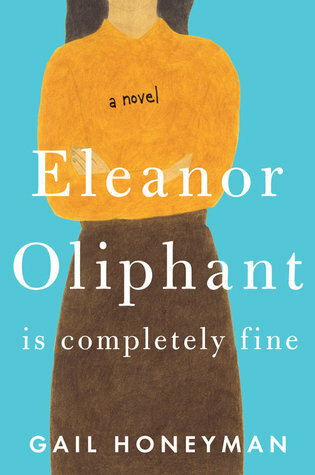 I just finished Eleanor Oliphant is completely fine by Gail Honeyman. I loved it and wanted Eleanor to find her way to happiness. I highly recommend this title and just ordered it today for a friend's birthday. When I finished it I compiled a new stack of books from bookcases and piles about my house, trying to decide which one to read next. and I also brought home an armful from school to read. Now I need to carve out some time to read in between cooking and family time. Merry Christmas and happy holidays to all! Enjoy the magic. Our 23-yr-old son is about to graduate from college this weekend. He's finishing up his last finals and preparing for a new job. It seems like yesterday that I loaded him into his car seat for fishing at the lake or hikes in the mountains. Life goes fast and you really must pay attention every day. We have family flying and driving in for the event on Saturday and I feel a little crazy with preparations. I have to slow down and remember this is one of life's big moments yet it won't be ruined because I don't have the right cloth napkin at the event. 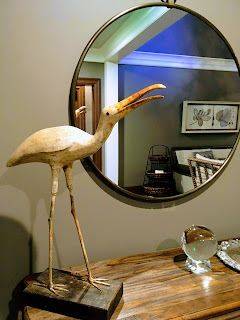 It doesn't help that I have such crazy standards when I host; I'm against throw away or one-use items and always need to plan in advance to make sure this doesn't happen. For his high school graduation I purchased all compostable items but this time luckily I had a good friend step up who does catering out of her bakery and she will bring real plates, forks, napkins, and glasses so we won't fill up the garbage bins in the hotel lobby just for our event. We are having simple food; a large green salad, fruit, vegan pizza from the Mellow Mushroom in Coralville. My friend is also making a few platters of sushi for all of us to enjoy. Favorite foods, friends and family all happy to be together for this magical life moment. I know I'm going to cry a few times over the weekend because my little boy has grown up in leaps and bounds to become the caring man he is today. I'm grateful for the journey we've had together; not always easy yet soul-searching learning experiences for both. I missed posting this the other day and now the major event has happened and all went off very smoothly. I read Angie Thomas' book when it was first published. I was anxious to expand my own horizons after trying to build a more diverse book collection at work and in one of my Amazon searches her book popped up. At the same time, I picked up Renee Watson's two books, This Side Up and Piecing me together, both excellent as well. Last week we finally found time to go see it as a family before it left our theatre here. She literally had the book in hand and finished it while we were watching previews. She was very happy to finish and still remembered so much, enough that she kept turning to me and saying "that DIDN'T happen in the BOOK" which was so reminiscent of her older siblings Harry Potter experiences. I thought the book was such a well-told tale and once again it is very easy to say that the book is FAR superior to the movie. I had higher expectations as I'd heard Angie was very involved in the movie-making process. I don't know why she would choose to change some of the things she did but it is what it is. 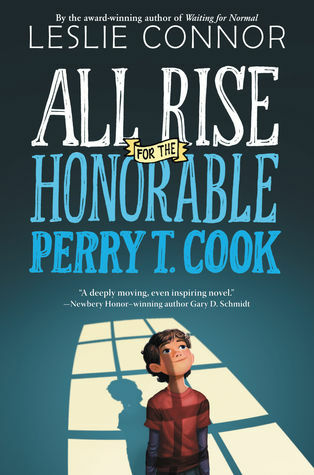 I still firmly believe this is a book that should be in every middle and high school and many adults should read as well. It definitely would help some individuals understand white privilege in a real sense. If you need a copy stop by my free library out front to pick up a copy. If you've already watched the movie I think you will enjoy the book even more. It's much more than just a black & white issue. Oh, and pick up one of Renee Watson's books also. Just to keep up. 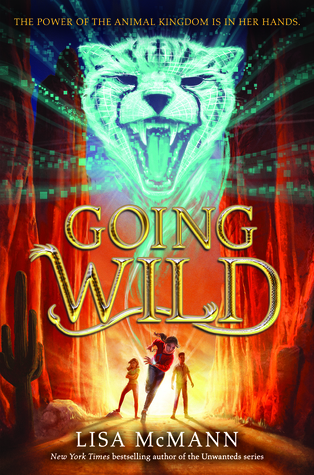 Going Wild by Lisa McMann (2016): Charlie's whole life changes when she has to move from Chicago to the suburbs of Arizona. As she struggles to make friends Charlie discovers a bracelet among their moving boxes. Her life begins to change in very dramatic ways when she wears the bracelet. This is an exciting new series that will appeal to readers of Spirit Animals. 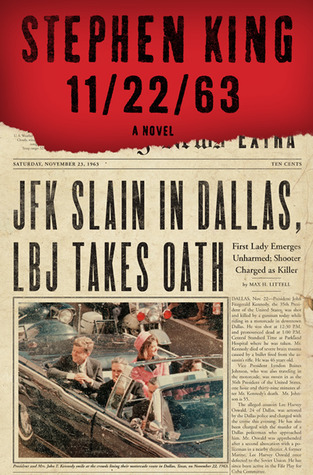 11/22/63 by Stephen King (2011): This book is 849 pages and it took me almost a month to finish it. I loved it. I also watched the mini-series and loved that as well. Jake Epping finds a ripple in time and tries to prevent the assassination of John F. Kennedy. I fell in love with the characters especially Sadie. 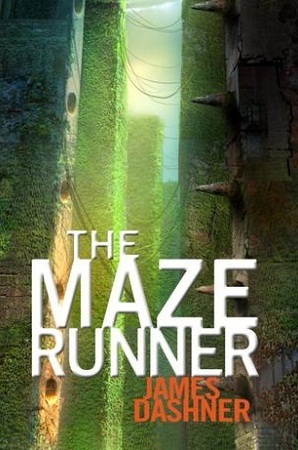 The Maze Runner by James Dashner (2009): Thomas wakes up in the middle of the glade, surrounded by young men all just trying to survive in a world they know nothing about. Every day they run the maze trying to figure out what and where they are trying to keep one step ahead of the predator. Hideout by Watt Key (2017): Sam is struggling with his life after surviving a bullying attack at school. His father gives him a boat that he's supposed to use for fishing except he ends up exploring the small rivers around the Gulf Shores and finds a young boy living in an old shack. Sam helps Davey but once he does he their lives become too entangled. 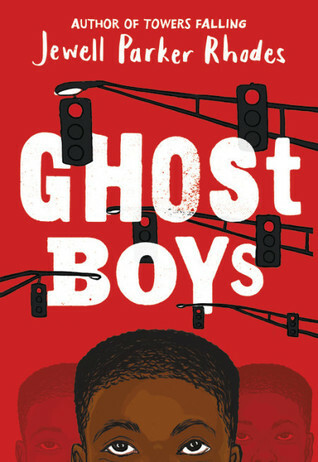 Ghost Boys by Jewell Parker Rhodes (2018): Oh this is a powerful story like Jason Reynolds' Long Way Down. Jerome, a 12-yr-old boy, is shot and killed by a Chicago police officer who sees his play gun as a threat. He spends the rest of the book learning to heal and help the 12 yr old daughter of the police officer. Beautifully told through Jerome's voice and Emmett Till as well. 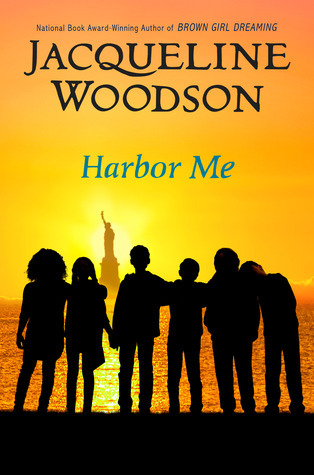 Harbor Me by Jacqueline Woodson (2018): Woodson is one of my writing heroes and this book tackles current topics of deportation and racial profiling. Told through the eyes of 5 young teens, all struggling with something in their lives they are given the gift of time to talk as a group at school to learn from each other. Another amazing story by Woodson. 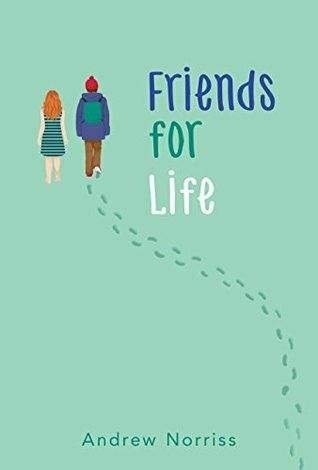 Friends for life by Andrew Norriss (2015): I ordered this for school because it sounded like a charming little English story of a young man befriending a ghost. 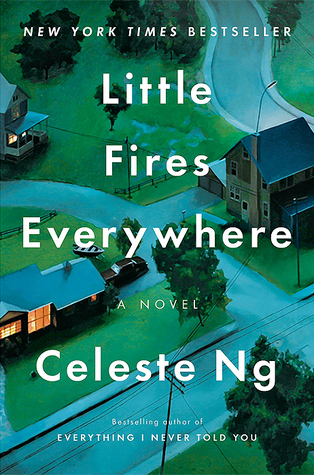 It is a charming story with a lot of depth about friendship and being unique. The young ghost, though, is Jessica, who commits suicide after her mother and grandmother die. I removed it from our shelves and know this book will find great readers at the high school level. Even though suicide is on the rise I don't want to be the one who introduces it to my elementary students. I did love the story and the brave cast of characters. What are you reading? This week has been chilly giving me lots of time to read. Last night I attended a vigil at our local Jewish Synagogue and it was packed, standing room only. Several honored people spoke from the Jewish community and other local religious leaders. It was a beautiful service yet it would have been better to not have to gather at all. Why do we live in the greatest nation only to have so many persecuted people and crimes against our very humanity? How do people become so filled with hate? Our Jewish, Muslim, LGBTQ+, women, people of color all need our support as they (we) are under attack. Today we honor the dead and for me specifically, I'm thinking of not only my family members that have passed but all the senseless murders from gun violence and victims who've died because of hate like Matthew Shepherd. That's a LOT of candles to light. From Columbine High School in 1999 to the most recent in South Carolina two days ago we've had too many school shootings and nothing is being done. School shootings-people are killing and traumatizing our youth-it's really unfathomable, beyond belief. I sat there years ago and watched the news roll out the day Columbine happened and I surely thought this was an isolated horrific incident. Little did I realize it would be an epidemic. The Washington Post is working to compile data on school shootings and it notes that 219,000 students have experienced violence because of a shooting while in school. The database is work taking a look at-it will make you understand why this is such an important issue. And now it seems places of worship may be the new racist trend. Most shootings involve a weapon brought from home or purchased by another family member. I don't like guns. I am fine with hunters having guns because it's different; I get that and I'm a vegetarian. I grew up in a family where hunting was an acceptable Saturday afternoon activity. Hunting rifles are generally not used for violent acts against humans. I like the idea of a gun buyback like Australia enacted or much stricter regulations like Japan has in place. We have a backward group of people represented by the NRA that we will never convince that guns do kill people and if we had less of them on the street we would have less violence. And assault-style weapons shouldn't be available at all. And before a police officer (in training) is issued a weapon they should have a serious diversity and peaceful negotiation training to pass before being gifted the license to carry a weapon that kills. We cannot support our very own "militia" to kill our citizens. I'm on a high soapbox right now and it's Halloween but The Day of the Dead has me thinking about all those who've died because hatred runs rampant and the haters have access to weapons. We need radical change to make these issues a thing of the past. Vote for sensible candidates who think the 2nd Amendment is for hunting and military personnel. Not militias in Oregon or Idaho but people who truly are defending our country in foreign lands. And we need police officers to be tried and convicted. I get that its a stressful job and it shouldn't be used as an excuse. 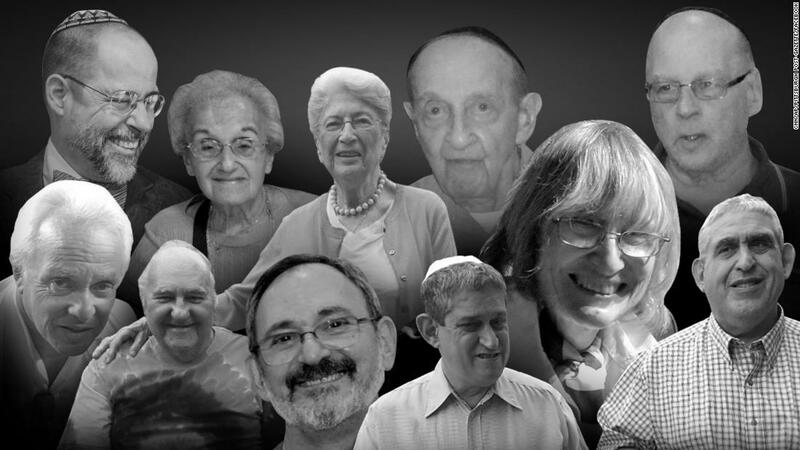 So today hug your children a little tighter as they share their chocolate with you, and think about the 11 Jewish elders who lost their lives this week, think of the students from Columbine to Parkland and all those in-between. We want change. We need to stand up for each other, we need to have each other's backs. 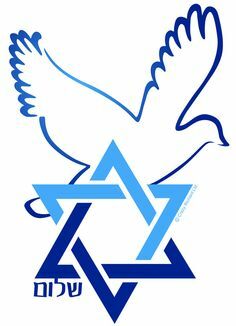 We need to choose peace. 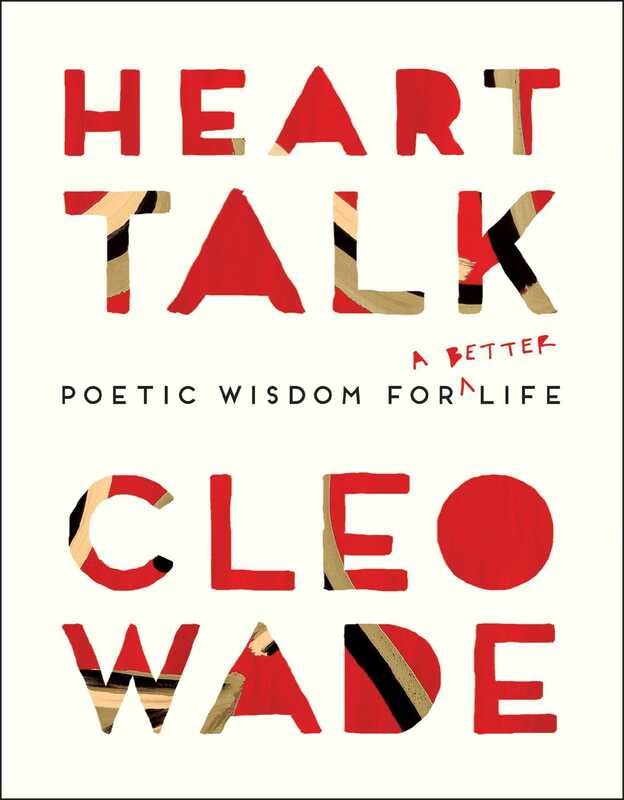 This week I was privileged to sit in the same room with Cleo Wade, poet extraordinaire and self-care guru. 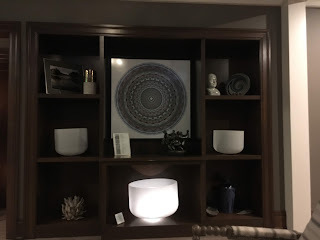 The room in the Graduate Hotel, downtown Iowa City, had a coffee shop vibe with lamps lit for soft lighting and lovely decor. The walls were "wallpapered" with real pencils so you felt like you were in a room meant for writing or writers. Our chairs faced a small stage with two easy chairs and a lamp and this is where Cleo eventually came out to chat with us. While we were waiting we could (and did) have a glass of wine and some homemade Iowa popcorn prepared and shared by Iowa native Kate Greer, one of Cleo's friends-the upcoming Cheerie Lane Popcorn. It was mixed with real rosemary buds and tasted delicious. At about 6:30 Cleo arrived on the platform and talked about life to us. She was soft-spoken, natural, and calm which caused the audience to lean in just a little. She is all about peace, love, and joy and how we can all bring that into our daily lives. In order to share these feelings out to your community, you need to feel them about yourself. She preaches an unusual idea of self-care; it's about what feels right for you. It's not about what you should be doing but what is right for you. Netflix, a warm bath, and red wine might be what you need on a Saturday night instead of a night out with friends or another spinning class. Learn to pick well at any given moment for yourself. Therapeutic Ritual-This is a little gift to yourself. Always should feel authentic. We need to learn to console ourselves to be our best selves. Dedicated Safe Spaces-Places you go to replenish your soul. It might be outside, it might be the movies, it might be your own home. Make sure to visit often. Relationship Boundaries-Choose your people wisely. Steer clear of toxic relationships. The people you surround yourself should build you up and inspire you. While these aren't exactly brand new ideas Cleo has a way of saying them to us and her 446k insta followers that make us feel ready to love ourselves a little bit more forever. She is also an activist and encouraged everyone to vote and get involved right now. Through her Rock the Vote/Gucci's Chime for Change website, she's made it very easy for people to connect and get voting information. 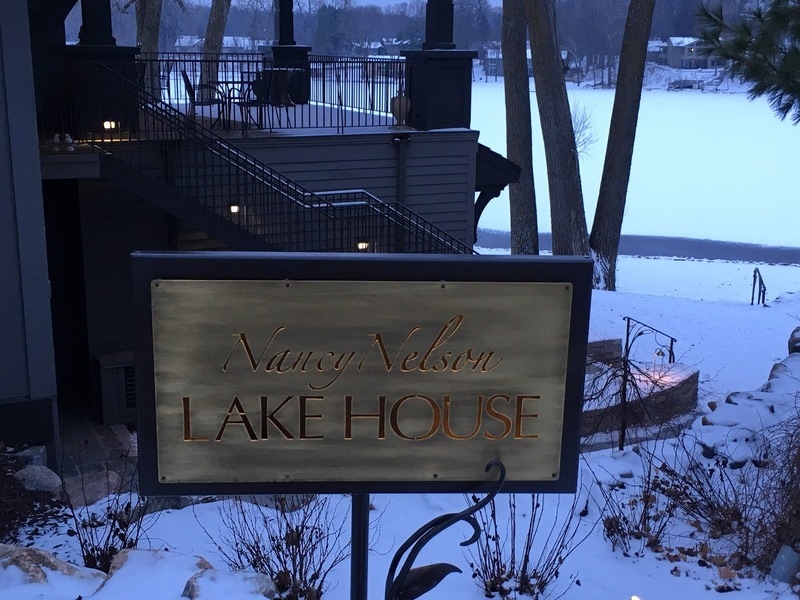 Her stop in Iowa City is one of many on her Courageous Love tour which is more than just a book for Heart Talk; Poetic Wisdom for a better life. She was purposeful in making it a free event with stops in all college towns. While her focus does seem to be on younger souls this audience was a very mixed age range and many of us waited in line to speak with her-she chatted, hugged, laughed, took photos, and signed our books with a constant smile. The night was inspiring and I would love to be in her presence again. And thank you to my friend Rita for your willingness to take off on this adventure with me. Thank you to my sister-in-law Stephanie for sending me the info about Cleo's tour. 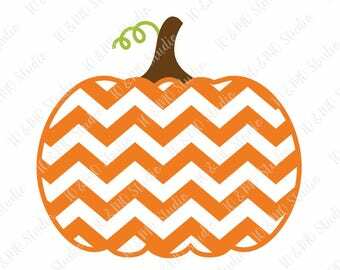 I'm a summer kind of girl but I love much about spring and fall as well. I always hope for a bit of Indian Summer to hold me over so I'm a bit sad that we've jumped head first into winter-like weather. First, it rained a lot (way too much for fall) and the fall leaves are suffering (and the farmers). It's been very windy this weekend. Our rivers and lakes have flooded across bike paths and over roads which pushes people from their homes. The only silver lining is staying inside and reading. I finished The Maze Runner, which has been on my to-read list for years. 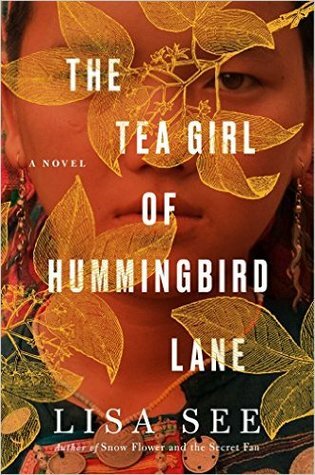 I really enjoyed it and am very curious about the next one in the series. 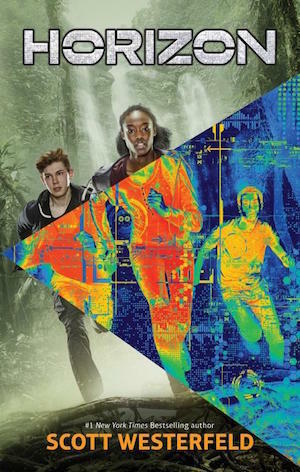 James Dashner created a unique and weird dystopian world and I'm invested to know more about the maze and how it all came into being. I want to watch the movie and I brought the second book home from school. It's waiting, taunting me, but I have other books to read first. One of my best readers at school showed me the book Hideout by Watt Key and told me he wanted me to read it when he finished. Last week he gave it to me and I promised to read it within the month. 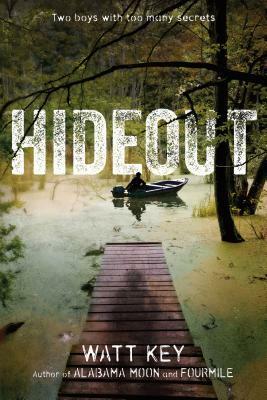 I actually skipped reading my book club book, Pachinko, to read Hideout. In my life, one thing leads to another all the time and now I want to read all of Watt Key's books. This one tells the story of Sam and how he finds a young boy, Davey while motoring his small boat around the bayou. Davey is living in a rundown shack and waiting for his dad and brother to join him. Sam agrees to help him fix up the shack and bring him supplies because it all seems like a great adventure until things become real. Sam discovers more than he needs to know about Davey's family and who they really are and once in it is difficult to get back out. I'll be happy to hand this book back to my student and help him find more of Key's books. I started reading Jewell Parker Rhodes new book Ghost Boy, which tells the story of young Jerome as he navigates the world after being shot by a police officer in Chicago. 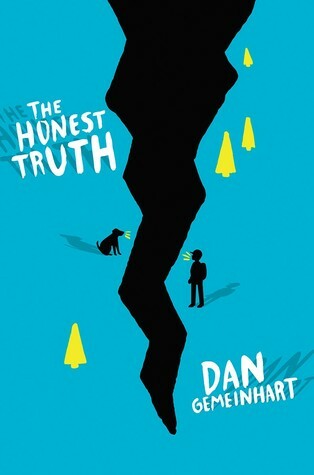 It's a sad beautifully-told tale and I want students at my school to read it even though it is about a difficult topic. While it is sad the real message is; it's up to us to make real change. In my recent Social Justice class we discussed the importance of elementary students being aware of the real world around them. This book not only deals with death and grief but poverty, bullying, and the historical context of young black men as targets starting with Emmett Till. I've read all of Rhodes' other titles starting with Ninth Ward (Hurricane Katrina) and Towers Falling (911). 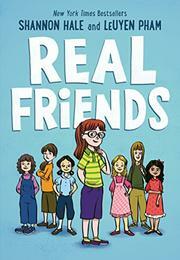 She does an amazing job of bringing these tough topics to elementary students through her well-written books. Once there were six of us. We circled around each other, and listened. Or maybe what matters most is that we were heard. I hope you are giving yourself plenty of time to read this fall. I have to head outside to breathe the crisp air and get my bones moving often as well. Our new dog Ruby loves to romp in the leaves and run freely in the green space across the street. It is a joy to watch her play outside which helps to balance how I feel about her chewing habits. We have a new schedule this year and it makes my head spin just a little. We went from a 6-day cycle to a 4-day cycle. This means classes of students rotate into the library (or art, P.E. & music) every 4 days. Because they are rotating quicker my days are filled with 7 classes almost every day, leaving very little prep time or time to work on library projects like processing new books. The elementary school where I work has the most students in the district and to create balance I have two other librarians with smaller populations who come to my school for equity purposes; one teaches a solo class of kindergartners, the other teaches two afternoons of k, 1st, and 2nd grades, which does give me time to work independently sometimes. Seeing students more frequently gives me the opportunity to explore new avenues with them. I've gone back to reading chapter books aloud. 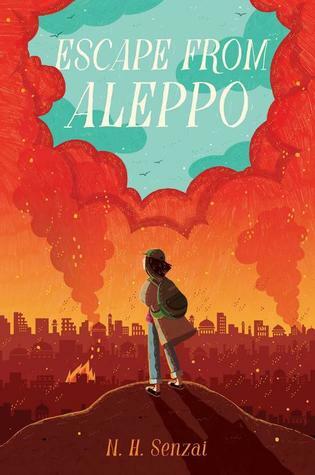 I'm reading The Map Trap by Andrew Clements to 3rd grade, Wish by Barbara O'Connor to 4th grade, Liberty by Kirby Larson to 5th grade, and Horizon by Scott Westerfeld to 6th grade. We have book discussions and still have time to do a short lesson on a skill plus check out books. I'm enjoying my time with students and implementing some of the ideas from my summer classes- a lot of which involves bringing more JOY to their day. The great downfall is that we've built a fantastic set of readers at my school. They use the library when they finish a book, not waiting until their next library time, to find their next great read. I love that kids are pumped about reading. My first few days of school were filled with writing down recommendations from students of books they'd read over the summer and want to have here. You say "what's the downfall in all that?" Well, it has two sides; I spend a good portion of my day helping students find books and checking them out in our system because I've raised readers! - usually, this is during times when I'm supposed to be planning or eating lunch so my day gets all mixed up and I miss those days when I'd only have 3-4 classes with breaks in between to get work done. I feel a little more rushed at certain parts of the day and more laid back while students in our library space. It's an adjustment and I'm adjusting. I managed to do quite a bit of reading this summer and as we just turned the calendar page from August to September I'd love to share what I read. 8. Awkward by Svetlana Chmakova - loved it! 12. The mysterious moonstone by Eric Luper -surprisingly good for a beginning chapter book, plus a shout out to libraries! 20 books in one summer is great even with all the homework I did. Hopefully, you might find something here that will appeal to your own reading tastes. Last weekend I took my husband to a Jason Mraz concert for our anniversary. It was simply fantastic! He and his band put on a show filled with love and joy and had us swaying our arms and dancing in our aisles. Mraz's band plus Raining Jane, an all-female foursome of talented musician/singers made it really vibrant! 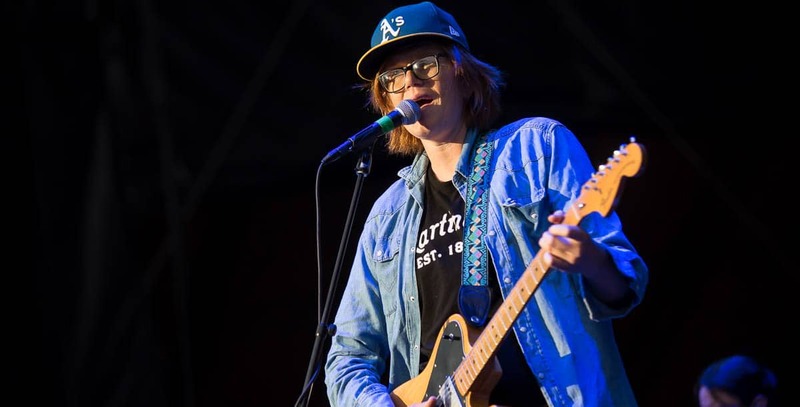 His opening band, Brett Dennen, was new to us and we loved his relaxed Southern California vibe. The whole night was meant to fill us up and bring us "Good Vibes" and it certainly accomplished that for both of us and the hundreds of others sitting outside with us. 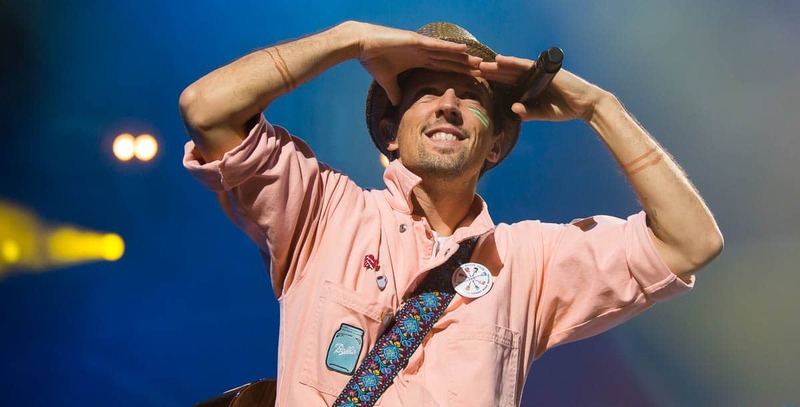 Here is a little Mraz playlist and Brett Dennen via Spotify for you to enjoy. Summer remains-I prefer a long summer. This summer was the busiest I've had in a long time. Two grad classes to spark my imagination and recreate my classroom and two lovely vacations to relax my brain and prepare for the year ahead. I'm ready to celebrate more JOY at school and at home. I've finally fallen head first back into my yoga practice and feel ready to keep that going every day with intention. Today as I practiced my mind took me back to Loon Lake in Northern Minnesota. A perfectly calm place to be. Groovy Girl is back at the dance thing and we'll spend 4 nights at the studio each week. We've picked up a small batch of school supplies here and there. Today she managed to choose a new backpack (difficult b/c of ALL the choices) but she prefers to wait until her classes begin to see what she really needs. I'm freaked out about the need for a $180.00 graphing calculator...? I'm also shocked that my baby is a junior in high school and my firstborn is about to graduate from college! My - how time flies. It seems like yesterday that I was rocking my way through library grad school with a 6-year-old and a baby. And now I'm in my 16th year of teaching. This past week I've made new binders for myself, got a little organized, mentally prepared my brain, and made a new batch of my homemade salsa. My mom has huge batches of tomatoes and I wanted to remind myself of all the steps so I did it alone one night this week; chopping onions, banana peppers, jalapenos, and skinning 20 cups of hot tomatoes while listening to music. It was magic in motion and a whirlwind of hot, spicy, and a few tears shed to get to the final-6 jars of salsa! I made a simple dinner tonight with farmers market fare and I've had a lovely glass of pinot noir. I ate an amazing dark chocolate bar with blackberry sage and I shared with G, J, and K. In a few minutes, I'm going off to do a little bedtime yoga. This year is going to fly by and I want it to begin (and end) with flare. Are you ready for school?